Find successful Football Manager 2018 tactics to download. Share your best FM 2018 tactics to help fellow managers struggling to create good FM18 tactics. This FM 2018 tactic aims to pass the ball to your forward as quickly as possible. Inspired by Marcelo Bielsa with 4 attackers making "triangle" shape. My best work for FM 2018. Simply works miracles. Get your team playing amazing football and use narrow length to its advantage. With this FM 2018 tactic you can expect to score over 100 goals (best record is 120) every season and concede not more than 20. Tested with Dortmund over 5 seasons. A very simple yet incredibly successful tactic I've designed after countless failures during my FM18 saves. Just posting this to see if you can lose games with it. A person who coached Atletico Madrid,barcelona and Real Madrid cannot have a problem to deal with mbapes of this world. Transform a relegated burn side into a winner. Replicating the miracle of season 2006-7 with Sunderland of 2018-19. A set of 2 tactics for FM18. Inspired by Pep Guardiola's Barcelona side from the 2010/11 season. A structured control tactic for FM 2018 that requires certain key attributes from your players. A very fluid yet very low tempo tactic for FM 2018 that stretches the play wide, while players push as high up as possible to win the ball back. Tiki taka style inspired by Guardiola. This is an attacking 4-4-2 tactic for FM 2018 that worked extremely well in my first season with Arsenal. This FM 2018 tactic was created to follow an offensive style. The entire team will try to attack. Tested with Galatasaray. An asymmetric 4-4-2 (or 5-1-2-2) tactic for FM 2018 with 3 wingbacks. Tested with Fulham; 14 matches, 55 goals. Highlight match vs Burnley, scoring 11 goals! One of the best offensive tactics I've ever used. 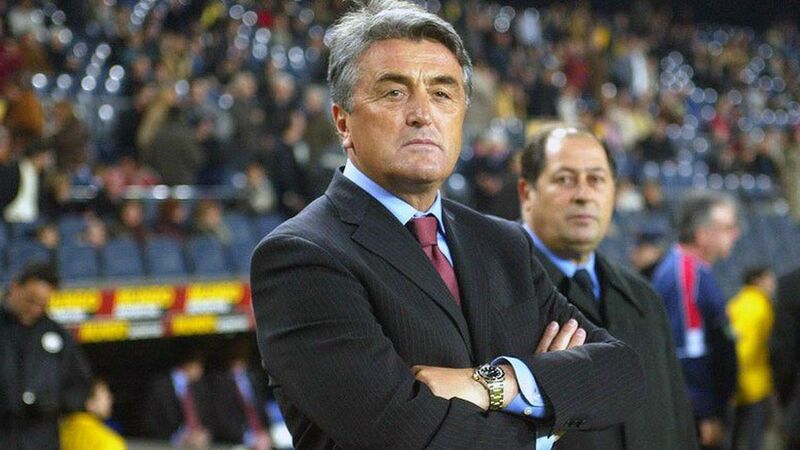 Tested for 11 seasons with Galatasaray, but only in home games. A set of high pressing tactics, home & away. The best 2 FM 2018 tactics for me if you enjoy possession based football. Try them and leave a comment. These tactics are unstoppable. Pretty solid tactic for FM 2018. Play a patient passing game. Tested with Norwich City. Promoted to Premier League on first season. Klopp FM18 Tactics - It's Kloppering Time (Again)! One of the most popular tactics a few years back, it's now back for FM 2018! Trying to emulate Klopp's heavy metal football. This 4-2-3-1 RTG Tactic for FM 2018 was inspired & replicated from a previous version of a Football Manager game. Won Premier League & Europa League in the First Season. My FM 2018 representation of Maurizio Sarri's 4-3-3 system he has used at Napoli with some tweaks due to limitations in the match engine. With this FM 2018 tactic you can expect to have possession up to 70% and 15+ shots on target per match. Scored 185 goals in the first season with Cambridge United and conceded just 60 goals. Heard lot about 3 up-top is kind of a cheat in this year's Football Manager, so tried to create a 3-striker formation. Also had amazing results and won a FA cup. An incredible 4-3-3 attacking tactic for FM 2018 which won me the domestic double with Leicester in my first season! Using Barcelona won La Liga just conceding two defeats. Also won the Champions League. Best suited to big clubs with top players. Replicating Marcelo Bielsa's famous 3-3-3-1 system which works in FM 2018. I devoted approximately 100 hours on my Twitch stream developing this tactic! I have used this FM18 tactic with Konyaspor (a low quality team) for 5 seasons. Winning the Turkish Super League, Champions League & Super Cup! Quality possession based tactic for FM 2018 to knock Pep from his perch. Won Premier League and Champions League in the first season with Manchester United. FM18 Tactic: Tsunami 4-1-4-1 No Remorse! Very solid attacking tactic for FM 2018 that seeks to consistently overload opponents in the attacking third, while remaining defensively solid. Big Herb tries to replicate Jurgen Klopp's Gegenpressing tactic in Football Manager 2018. Tested with Liverpool for 2 seasons.